Enjoy PebbleCreeks Resort Lifestyle in this Extended Diego Model. This home is light & bright with vaulted ceilings. It is available furnished/turnkey or furnishings can be removed. 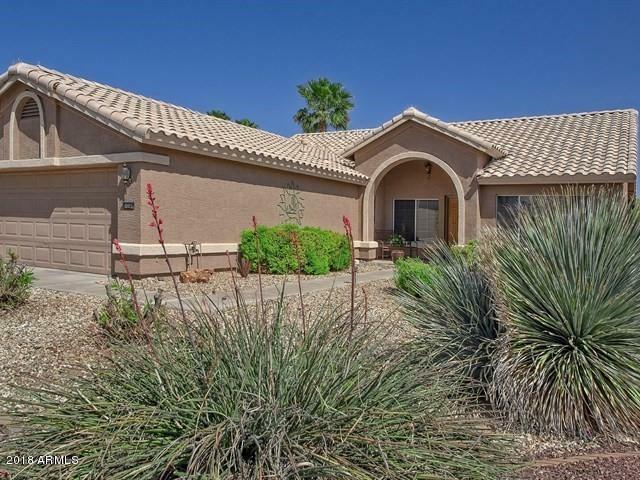 The backyard faces North Enjoy seeing the outdoors, fruit trees and covered patio. The kitchen has hardwood flooring with plenty of cabinets & shelves. The family room have views of the back yard. The large living room and Den provide plenty of space of entertaining. The large master opens out to the patio. The second bedroom has a walk in closet. The utility room has office space with room for a desk chair. This room will accommodate crafts or hobbies. The extended garage has a side access door, plenty of cabinets. The yard is spacious.